I wanted to get this review out fast, as this is a limited edition gift set. I do believe that the perfume is a part of their permanent Collection, but the palette is definately limited edition. You can only get this palette in this gift set, as far as I know. Price: €7,95 or about $9 So very good Price for a perfume and an eyeshadow palette. I got mine at Kosmetik4less.de. Packaging: The perfume and the palette comes housed in a gift set box, I'm personally not a fan of the gift box, it's just not that cute. But who keeps those boxes anyways, I just tore it up to get to the goodies inside hehe. 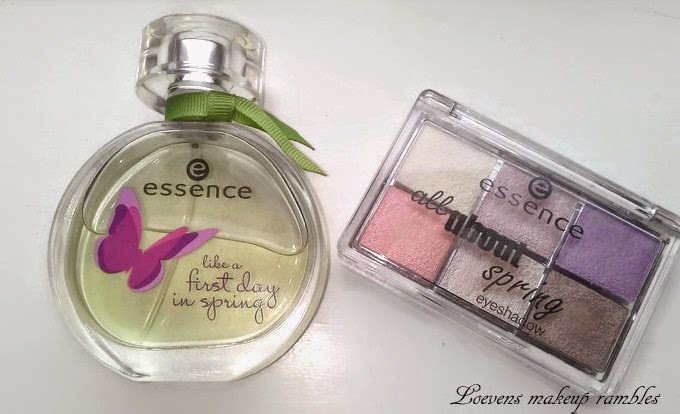 You get a 50 ml perfume and a full size all about spring palette. Let's start with the perfume. This has a fruity yet fresh scent. It's not a Unique scent in any way. 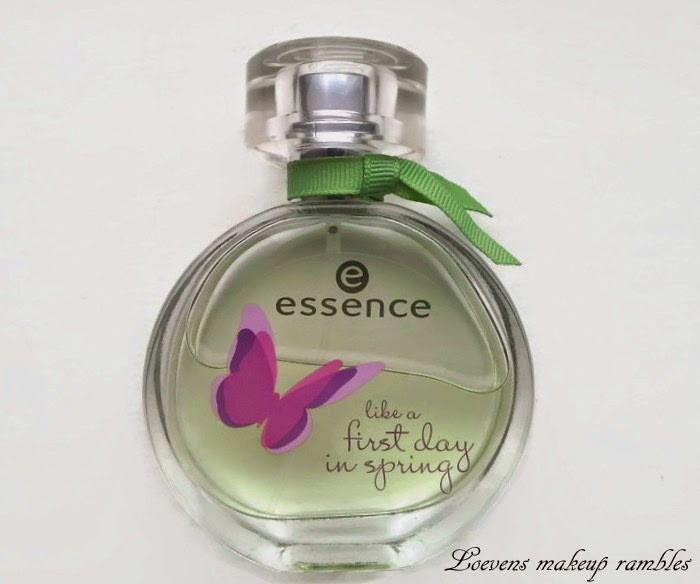 I remember having an Escada perfume that smelled like this, and later I got a perfume from Adidas, I think it was called "fruity rythm" or "pink rythm" Oh well, it's like 7 years ago since I've had that. But that's what this smells like. I definately like it, but it's not a "must have" or "to die for" scent for me. I find that this does not last all day on me. The scent Wears off througout the day, but It's not a huge issue for me. It's decent enough considering how affordable it is. I would say it's pretty good, and I would recommend it if you remember liking that Escada or Adidas perfume. On to the eyeshadow palette. 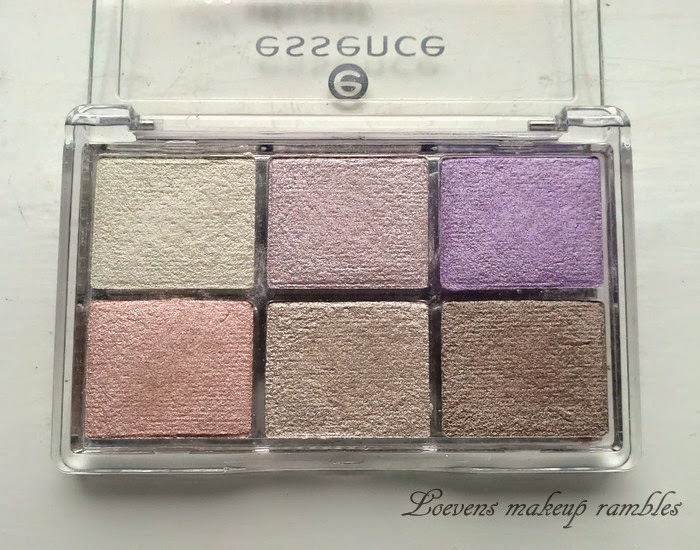 You get 6 shimmery shadows all pretty soft and light. These are really really pretty! I do wish that there would have been a turqoise or a brighter coral in this palette, along with a matte crease color. But I do appreciate the pretty purple and the medium taupey Brown shade. 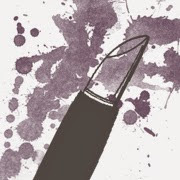 These all perform nicely and they are all buttery smooth and pigmented. 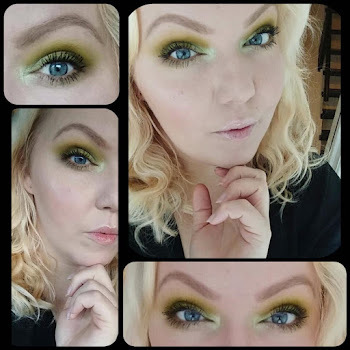 I'm not sure that this palette has everything I would need to do a complete eye look though, as I do want something matte to throw in the crease. But I can definately see myself using the Brown shade as a 1 shadow look and maybe use the purple on the lover lash line as a pop of color. It's quite the handy little palette so it won't take up much Space and you could easily pair it with a matte single shadow or the Urban Decay naked basics or Makeup revolution's Essential mattes palette. The quality of these shadows is definately nice! And I can't wait to experiment with it a bit more. Is this a must have palette? definately not! but it's a nice and affordable way to add a few pastel Shades to your spring look. So my overall thoughts on this set is, that's it's pretty darn nice and pretty affordable as well. It would make a perfect gift for any Young girl. I'm quite glad that I decided to get it. I will be getting a lot of use out of the palette. The perfume is not something I would wear every day though. It's nice, for my own nostalgic reasons but it doesn't wow me. 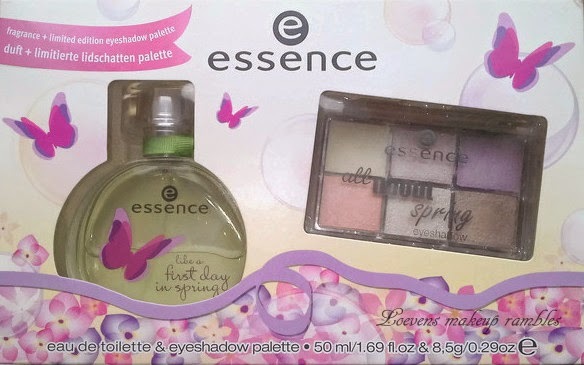 I really like that Essence makes these gift sets. They also had one called " like a day in the candy shop" or something and it looked really nice too. And you gotta love that price.